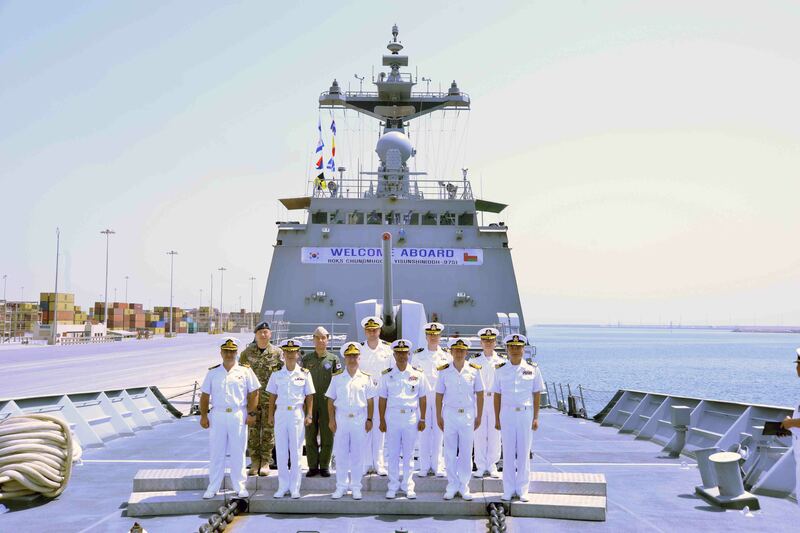 During a brief stopover in Salalah, Oman, the Commander Combined Task Force (CCTF) 151, Rear Admiral Ayhan Bay, onboard his Turkish flagship TCG Gemlik, visited the Republic of Korea Navy warship ROKS Chungmugong Yisunshin, which is working in associated support of Combined Task Force (CTF) 151. CTF 151 Souvenir Photo: Stronger Together. 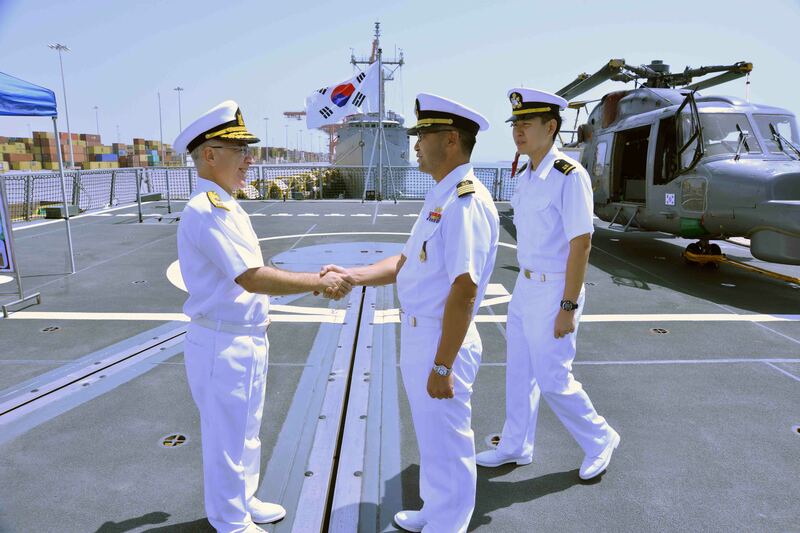 Following his visit Rear Admiral Bay welcomed Captain Jae-Man Yoo, the Commanding Officer of ROKS Chungmugong Yisunshin and members of the ship’s crew on-board TCG Gemlik for lunch. 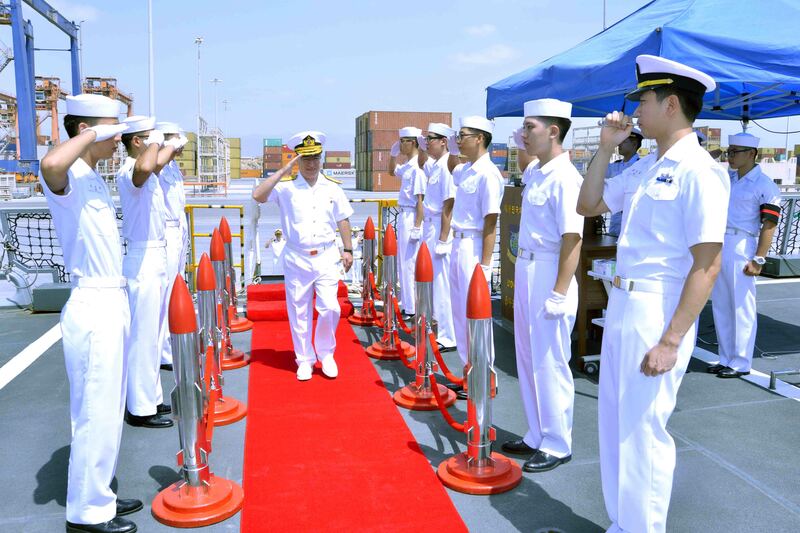 Rear Admiral Bay arriving on-board ROKS Chungmugong Yisunshin in Salalah. 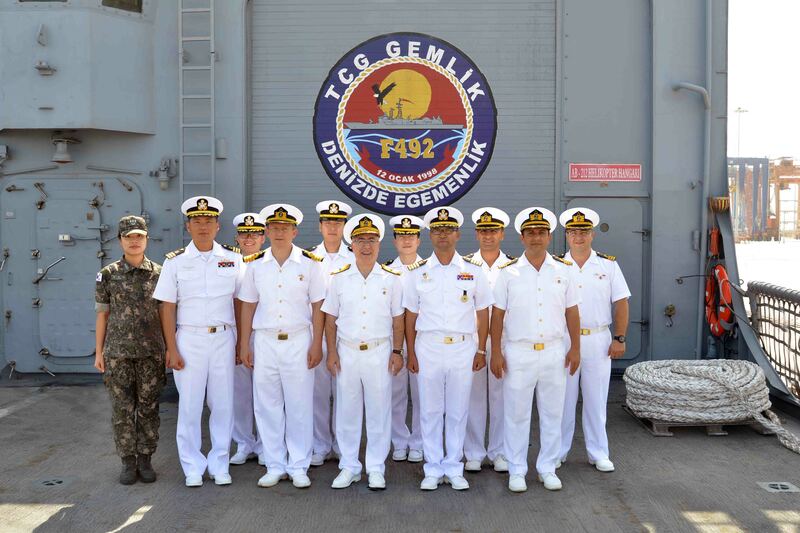 TCG Gemlik is currently conducting counter-piracy operations in the Arabian Sea and the Gulf of Aden as part of the Turkish-led Combined Task Force (CTF) 151. Captain Yoo and his interpreter, Ensign Choi, welcome Rear Admiral Bay. CTF 151 is a multinational task force undertaking counter-piracy operations in order to safeguard the freedom of navigation in the Gulf region. In addition to TCG Gemlik and ROKS Chungmugong Yisunshin, CTF 151 has three further ships, namely PNS Aslat from Pakistan, and JS Akizuki and JS Sawagiri from Japan. CCTF 151 Rear Admiral Bay and Captain Yoo together with Turkish and Republic of Korea Navy officers on-board TCG Gemlik. CTF 151 is one of three naval task forces operated by Combined Maritime Forces (CMF), which is a multinational naval partnership of 30 nations. CMF’s mandate is to promote the conditions for security and stability in the maritime environment by countering terrorist acts and related illegal activities.